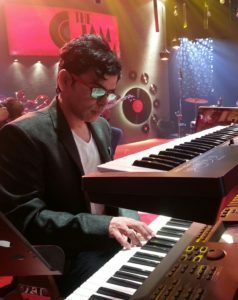 Monjoy Mukerji’s ‘Hai Apna Dil Toh Awara’ hits the right notes! Music is one of the important aspects if the film has to succeed. And if the music of the film is a hit, the chances of the movie doing well at the box office increases. Debutant Director Monjoy Mukerji has left no stone unturned to make sure that the music for his debut film ‘Hai Apna Dil Toh Awara’ hits the right notes! Produced by Monjoy Mukerji Productions in association with Deepakk and Neha Gupta of Anikaa Films, the film stars Sahil Anand, Vikram Kochhar, Herry Tangiri, Niyati Joshi, Jayaka Yagnik, Nilesh Lalwani Divya Chouksey and Sareh Far the film is slated to release on 5th August 2016. 16 queries in 0.439 seconds.